We are a leading Manufacturer of industrial valve parts, valve components for petroleum and gas valves and valve components from Coimbatore, India. We are one the well-known manufacturers and suppliers of Industrial Valve Parts. The offered ball valve parts is a part of the quarter turned valve. 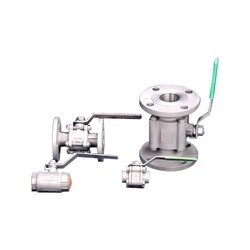 Our supplied ball valve parts is capable of controlling the liquid flow through the pipelines. The offered ball valve parts allows the liquid flow when the ball’s hole is in line with the flow. Our supplied ball valve parts is available at very affordable market selling rates. We are one of the widely acclaimed manufacturers and suppliers of Industrial Stellited Components for Petroleum and Gas Valves. The offered stellite components are specially fabricated from cobalt-chromium alloys. 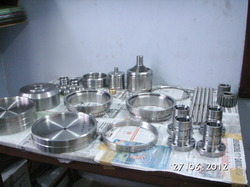 Our supplied stellite components are widely used for the industrial applications. The offered stellite components are available at very affordable market selling rates. We are one of the widely acclaimed manufacturers and Manufacture of Valve Components. The offered stellite components are specially fabricated from cobalt-chromium alloys. 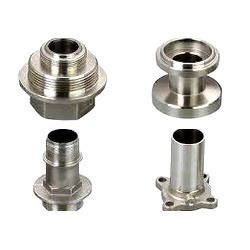 Our supplied stellite components are widely used for the industrial applications. The offered stellite components are available at very affordable market selling rates. Looking for Valve Components ?